In 1979, Elizabeth Diller and Ricardo Scofidio founded their longtime interdisciplinary design studio and collaborative architectural practice, which would eventually become (with the addition of Charles Renfro in 1997) Diller Scofidio + Renfro. Their “project-based” interventions (air quotes to emphasize the unpredictability and aplomb with which they deconstruct, resurrect, and alter the confines of conceptual inquiries into space and place), honored with a MacArthur “Genius” Award in 1999, have included everything from the High Line—an urban redesign of a former elevated railroad spur— and streaming new media to the focused construction of contemporary art museums and a stretched-canopy entranceway to the tents of New York Fashion Week. Edward Dimendberg’s Diller Scofidio + Renfro: Architecture after Images is the first comprehensive inquiry into their varied cultural works, and it carefully traces their evolving forms alongside their relationship to earlier modernist practitioners. 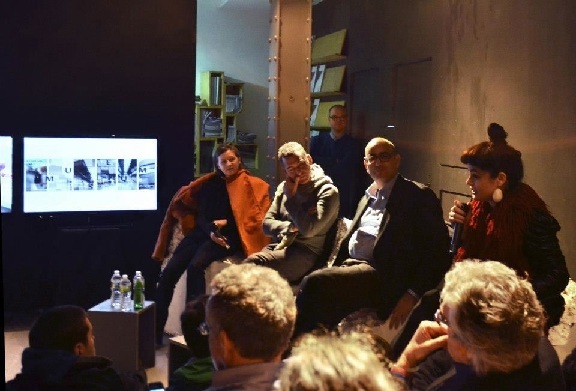 This past week, the book launched in accompaniment with a discussion involving the architects at New York’s Storefront for Art + Architecture. Included here are some candid snapshots that capture the conversation (as well as the packed house). More on the book can be found here. . . .
‘The hard, often frustrating, but absolutely necessary work of self-government’ In the first State of the Union Address of his second term, President Barack Obama echoed themes from past speeches, most recently his Second Inaugural Address delivered a few weeks ago and his victory speech from election night. A central theme—arguably the central theme—of all these addresses and many previous ones has been the need for the nation’s elected officials to work together to solve lingering problems caused by two wars and a major economic crisis. The president opened his fifth State of the Union Address with a quotation drawn from John F. Kennedy, who along with Abraham Lincoln and Martin Luther King, Jr., is his favorite source. 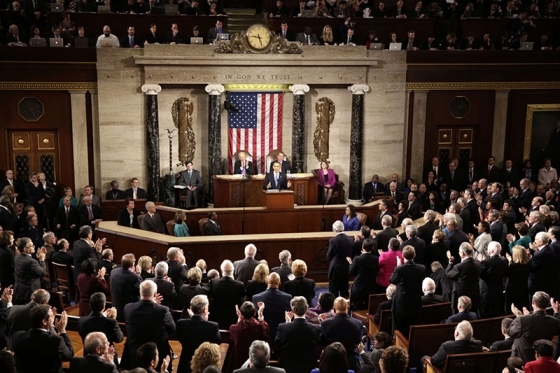 Kennedy opened his second State of the Union address by urging Congress to remember that, “the Constitution makes us not rivals for power but partners for progress.” And so President Obama once again urged the representatives of the rival parties in Congress to work together to pass legislation to stimulate the economy, improve education, and reduce gun violence. He continued to quote from Kennedy’s 1962 speech: “‘It is my task,’ said, ‘to report the State of the Union—to improve it is . . . 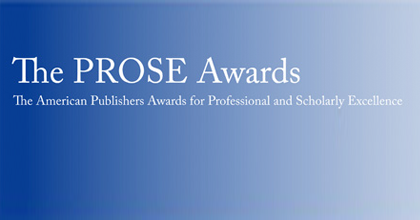 The 2012 PROSE Awards, announced February 7, 2013, “annually recognize the very best in professional and scholarly publishing by bringing attention to distinguished books, journals, and electronic content in over 40 categories.” Since 1976, the Professional and Scholarly Publishing (PSP) Division of the Association of American Publishers (AAP) have bestowed the awards on deserving recipients—and among them, we’re delighted to see several University of Chicago Press books acknowledged. Congrats to all the winners and honorable mentions! *** The awards for History of Science, Medicine, and Technology featured a clean sweep by Chicago, led by Daniela Bleichmar’s Visible Empire: Botanical Expeditions and Visual Culture in the Hispanic Enlightenment, which traces both the little-known history of scientific expeditions in the Hispanic Enlightenment and the history of visual evidence in both science and administration in the early modern Spanish empire. An Honorable Mention was awarded to Sachiko Kusukawa’s Picturing the Book of Nature: Image, Text, and Argument in Sixteenth-Century Human Anatomy and Medical Botany, a consideration of the works three early modern learned authors who dealt with botany and anatomy—Leonhart Fuchs, Conrad Gessner, and Andreas Vesalius—and how their illustrations were integral to producing a visual argument for the scientific study of nature. A . . .